No matter what your search, Google is watching. (And if you use a voice assistant such as Google Home, it might also be listening.) But what feel like random, daydream-inspired searches—”best tacos in Mexico City,” maybe, or “ how to do yoga on horseback”—offer excellent clues that tell Google where you might be interested in going next. “If you’ve recently started looking at hotels or activities in Los Angeles but haven’t booked anything yet, we will organize this information in Your Trips, along with destination-specific searches, tracked flights (if you have any), and more tips,” explains Richard Holden, Google’s vice president of product management, who says the tool will help travelers pick up where they left off if their travel plans are delayed. “We want users to consider this as their travel bucket list, and now when they search, they can easily access and leverage any research they’ve done to date related to a destination,” he tells Bloomberg. How to use it: For now, it’s a bit cumbersome to find your potential trips. They’re not saved within an app such as Inbox or accessible from an easy-to-reach drop-down menu on Chrome. You have to manually type this URL into your mobile browser: google.com/travel/trips. 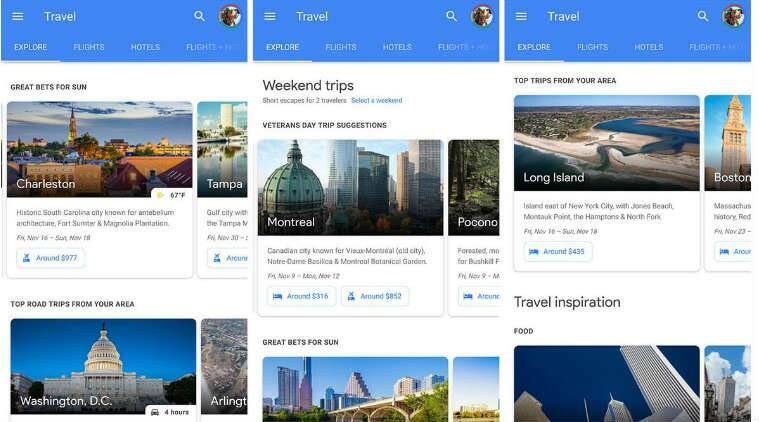 Click on any of the destinations you’ve researched and you’ll find your recent search queries, Google’s travel guide to the destination, and any routes you might be tracking on Google Flights. Once you book, the whole folder moves to a separate heading called “Upcoming Trips,” where all your reservations are centralized and viewable in itinerary form. Most of the websites that sell airfare—Expedia, Kayak—make it a priority to steer travelers toward packaged deals whose flight and hotel prices are bundled. How can you tell if you’re really getting a discount? “There’s no transparency on this type of data. Travelers don’t know where to go to compare component pricing and package deals side by side, and we want to help with that,” Holden told the audience.